CHARLESTON, WV - First Lady Cathy Justice unveiled the 2018 Holiday Ornament during a reception at the West Virginia State Culture Center on Monday, November 19, 2018. 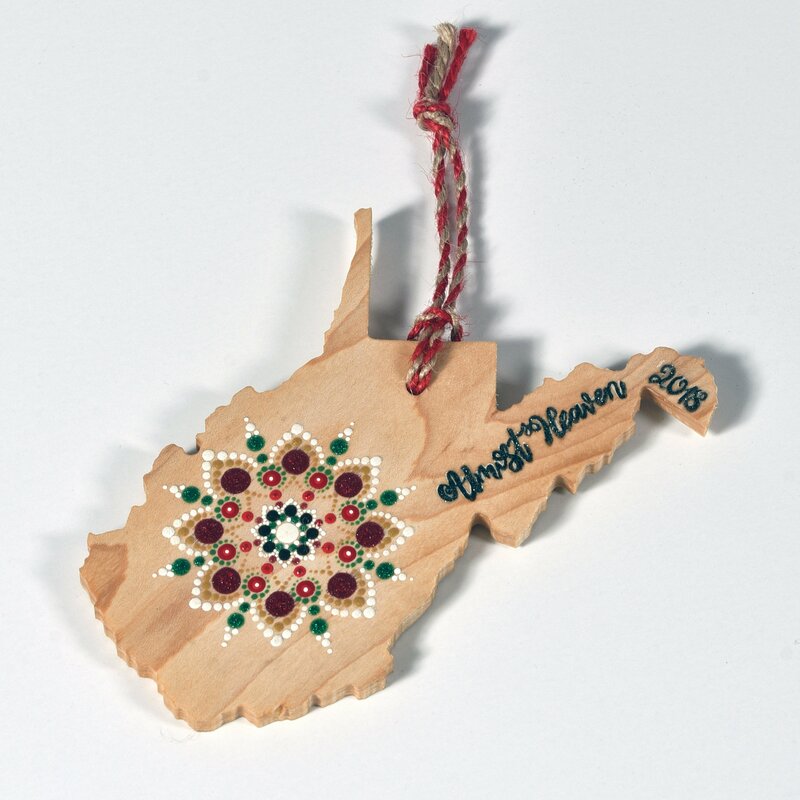 The limited-edition ornament was designed by Wild River Artistry artists Maddie Farmer and Casi Pourfarhadi of Charleston, WV, and features an outline of the state handcrafted with West Virginia Sugar Maple and a uniquely painted pattern of red, green, and gold. “This ornament showcases our state’s booming timber industry and reminds everyone who sees it that timber is one of our most valuable resources,” said First Lady Cathy Justice. “I could not be more proud of these local artisans and their incredible work on our ornament,” she added. The ornament is available for purchase at the Culture Center in Charleston, WV and at Tamarack in Beckley, WV for $25. A portion of each sale will be donated to the West Virginia Governor’s Mansion Preservation Fund which helps preserve the mansion for future generations to enjoy.